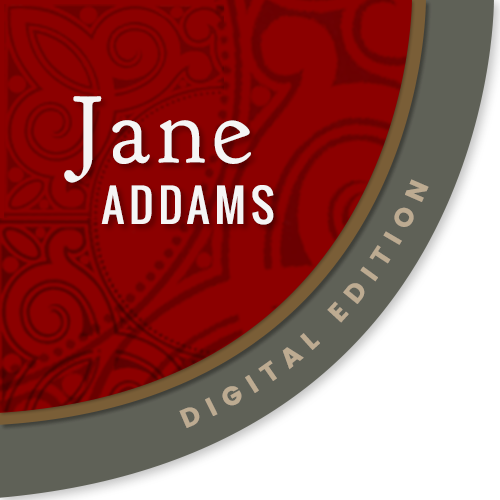 "England has Florence Nightingale; American has Jane Addams, who is easily the foremost woman in America" -- Times (London). A work to be seriously pondered by every serious man and woman. 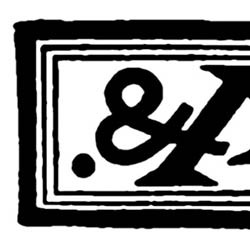 Actual experiences of those who have investigated the "white-slave" traffic, and often the stories of girls who have been drawn into the net -- are the things of which Miss Addams's book is made. Absolutely frank in its treatment of the social evil, startling in its revelations, judicious in its suggestions and sympathetic in its viewpoint. Jane Addams's notable work on the great problem of every large city -- how to keep the boys and girls off the city streets. 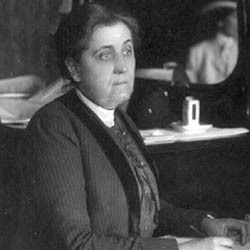 "Jane Addams of Chicago is a marvelous woman. She has made Hull House in Chicago famous the world over as a practical manifestation of the spirit of good-will on earth." -- Cleveland Leader. 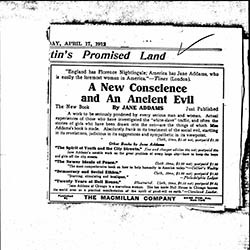 Newspaper advertisements for A New Conscience and An Ancient Evil. 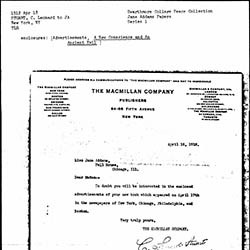 This advertisement was produced in multiple newspapers across the country, including the New York Tribune, the Boston Herald, the New York Post, and the New York Sun. 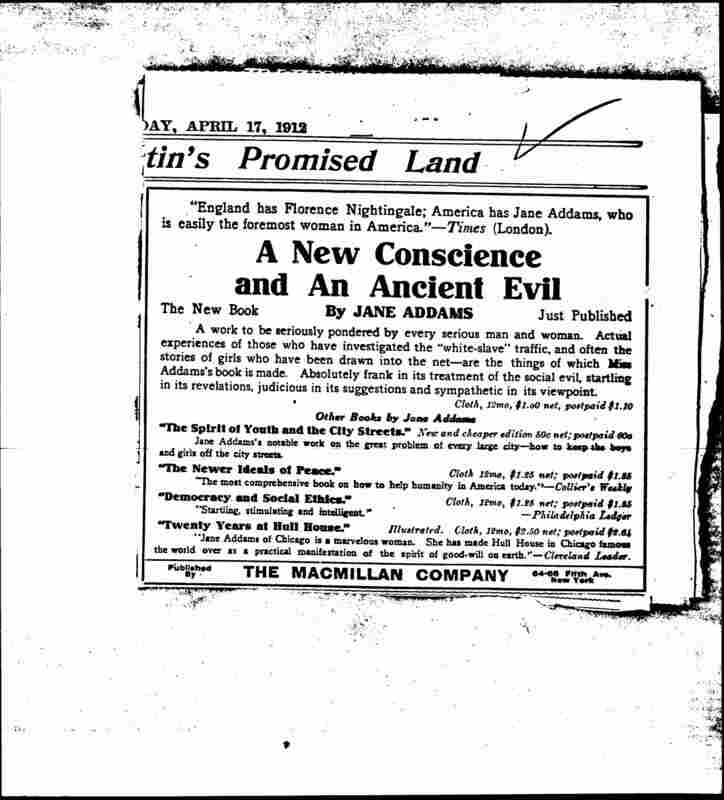 The Macmillan Company, “A New Conscience and An Ancient Evil Newspaper Advertisement, April 17, 1912,” Jane Addams Digital Edition, accessed April 18, 2019, https://digital.janeaddams.ramapo.edu/items/show/4739.